Belgrade has the great usual and unusual activities worth trying. Try Something New while you are exploring our capital, but be prepared, that most probably you will love it! We are aware that you probably know why is Belgrade so popular. Because of amazing nightlife of course! That is among the first things you will hear from your friends who has been over here. Why is so famous? 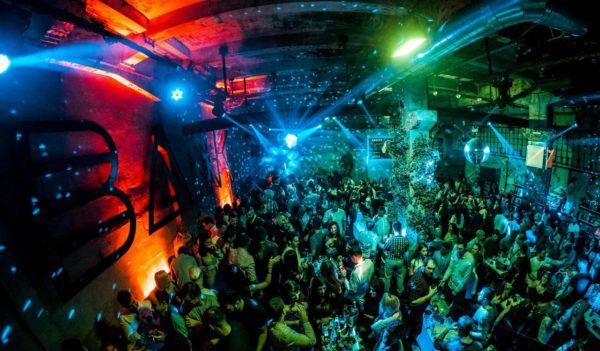 First of all, you will find a party every night in one of the most popular clubs in Belgrade. Does’t meter if its winter or summer, we do have 2 clubbing seasons, so whenever you decided to come, it’s going to be great! Belgrade is favorite destination among those who want to celebrate bachelor party, birthday or just to have excellent night out. In that case, we suggest to party like a rock star with our Belgrade at Night team VIP style, using our nightclub service. In the last decade nightlife is constantly blossoming and every year there is something new to spice up the scene. And it’s not all about the night. There are awesome day activities. For example, last few years Segway tour is something that tourists and locals as well are really into. It is a unique and fun way to get to know the nation’s capital. Tour begin with a short training session where we will teach you how to ride a Segway and then it’s off to the streets! Segway vehicles are easy and fun to use and they are allowed in pedestrian areas where even bicycles are forbidden. This in itself shows how safe they are both for the user and the passers by – you will basically be a pedestrian on wheels. Another great tour is definitely Belgrade’s underground. 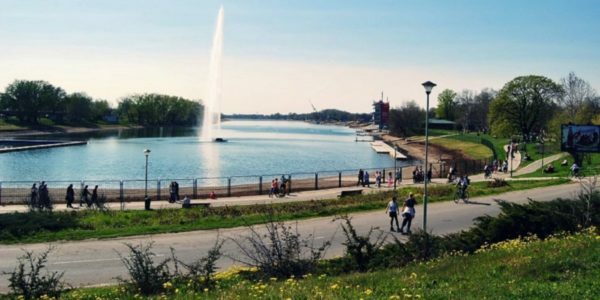 This mysterious part of Belgrade is fortunately open for tourist. There are organized tours that will give you totally new perspective of the city. They say that if you want to see anything over 250 years old in Belgrade, you must go underground. Yugo tour is also something different as well. Just imagine riding in a vintage Yugoslav Zastava car, with a story of architecture, and history of a nation that no longer exists. From the beginning of socialist Yugoslavia in WWII to the fall down of it in the 1990’s, you will experience the communist era of Belgrade to the fullest. Try some remarkable flee markets! That will be an unique experience. You can find worn clothes, shoes, art pieces, toys, etc. Sellers are mostly local people, and you can find literally everything. Vintage stuff is at every corner. Beautiful vintage furniture is a trademark of those places. You can find literally everything from a “ needle to a train “. For more “sporty” types, there are plenty of choices as well! Ada Lake is not just an ordinary lake – it is also a facility full of recreational possibilities. Football, tennis, basketball, rugby courtyard is just the start! There are many possibilities among which are the most popular wake-boarding and cycling. We suggest to rent a bake, and ride from Ada to are known as 25. Maj, where you can work out in one of the best gyms in Belgrade – SkyWellness. This gym has one of the best views in town. The beauty is that you can use facilities even if you are not member. Guests have access to the sauna, various body treatments and the services of a professional coach. Guests can use the equipment of famous Italian producers – Technogym. Also, Serbian cuisine, especially if you are visiting for the first time is a must try. Various of flavors, tastes and mix of several cultures made our cuisine what it is today. Try ajvar or kajmak, cevapi, or some other dishes from the list of top 10 Serbian foods.